Xtrema Ceramic Sauce Pan & FridgeX Set Giveaway ~ 2 Winners! Cooking can be Healthy and Green! I have two AMAZING products to share with you today made by Xtrema. 100% Green: Not only is cooking with Xtrema healthy for your family, it’s also friendly to the environment. From the earthy-friendly production practices and inorganic natural minerals used in construction to the safe ceramic glaze alternative to harmful PFOA coatings of most other popular non-stick cookware, Xtrema is eco-friendly. Extreme Temperature can be used. Product Versatility~ put on the stovetop, in the oven, micro, under the broiler. Put in the fridge, freezer, and clean in the dishwasher. Heat Effective. Far-infrared heating cooks food from both the inside and outside at the same time. It will also continue to cook a bit when removed from the heat source and your food stays hotter for much longer. Reduce Cook Time = Reduced Energy Costs. Scratch & Stain Free. Made with a 100% natural glaze that makes clean up a breeze and keeps it looking brand new year after year. 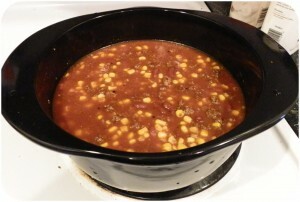 I made an easy Taco Soup the other night from one of my favorite food sites AllRecipes.com to test out my new pot. We had baseball practice so what I did was brown the meat and mix all the ingredients together before we left. Covered it up and stuck in the fridge. Came home and placed it back on the stove to heat up. I left the lid on top and boy did it heat up fast which is good because we were all hungry! Hubby even came home half an hour later than us and it was still steaming! Now I am in love with my new ceramic cookware and I can’t wait to buy more, but I am EXTREMELY excited to tell you about FridgeX! Healthy: FridgeX is made from non-toxic silicone, a compound that is extracted from rocks and sand. In fact, it’s the most common element found on Earth besides oxygen. Does not contain nitrosamines, BPA or PVC. 100% Green: Our FridgeX product line is 100% recyclable and non-toxic to aquatic life and soil organisms. Who knew that silicone could be so cool? Shock Proof ~ can go right from the oven to the freezer! Durable that it will not chip, break, rust, or stain. Very lightweight too! Storing is awesome as the items fold down and nest together. Again, heat up your food in the oven up to 430 degrees. Then store in your fridge and freezer with no bad effects whatsoever. I am just AMAZED at this product! 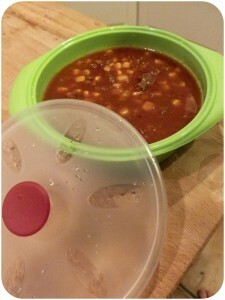 I transferred my leftover soup to my round container and placed in the fridge for tomorrow’s lunch. The lid is great and easily suctions itself to the base. I want all the sizes!! I recently had a BeachBum ask me How did I store my freezer foods since plastic can be unhealthy and also cracks when frozen. I’m so glad I have found the answer with FridgeX! I received these items for review and was not compensated in any way and all opinions are my own. This giveaway will end on March 26, 2012 at midnight EST. Winners will be drawn via rafflecopter. Once a winner is drawn I will contact them and they will have 48 hours to reply before I draw a new winner. Giveaway is open to anyone in the US and you must be 18 years of age or older. Giveaway not affiliated with Facebook & I release them of liability. Winner will be posted in the rafflecopter widget. I've never heard of Xtrema cookware - but I'm really excited to have the chance to win some! It sounds like all I'd ever want in cookware. LOOOOVE that it's 100% green! I love the name. I would really like to try one of their pieces, any! Oh my, these products are both AWESOME!! I went to their websites and I now NEED that beanpot from Xtrema! Thanks for sharing with me! I love that they are so environmentally friendly! I knew they had the cookware but didn't realize they have the storage containers too! I love that the storage containers collapsable. How cool is that? They have some really cool products! I love containers that can go from the freezer to the oven! I love the fact that it's versatile and safe! Xtrema sounds cool indeed! I really like that they use ceramic for their cookware. I've been wanting to replace my nonstick pans.. I'm so wary of the coating. I have never heard of them before, but I am super excited to learn more! I love the idea of ceramic cookware and your photos are making me crave soup right now! I like that the storage items can be used to store cold food, and can be used to heat food up to 430 degrees! They must be good since they have a 50 yr warranty. With a 50 year warranty they must be made good. I like them! I'd love the ceramic pot. I'm trying to go all glass or ceramic in my kitchen. Extrema is very cool! I love that it can be used to cook in any way. i love the idea of ceramic for cooking. I love Xtrema and hope to keep adding to my collection! They sound great. Thanks for the chance to win. I am constantly on the look out for products that are healthier for my family and these all look wonderful! Before now, I've never heard of the brand, but I like their products that I see on their website. I'm a true believer in ceramic cookware after purchasing one with that feature a couple days ago (different brand, though)...super easy to use & clean! Thanks for the giveaway. like the square fridge x pieces than round. Xtreama is fantastic. Green, healthy and great to use. Love it. The products sound wonderful. I am an extreme cook and always looking for something new and these seem to fit my bill!!! I think this company looks great! LOVE their concept! Really love the soup pot too! :) Thanks for sharing this giveaway with us! I love that the FridgeX can go from oven to freezer! Xtrema makes superior quality products! I would love to try the Round Fridge X Set! I have been looking for some new "plastic wear" to use in the microwave and store in as well. 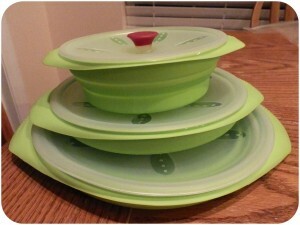 This set sounds perfect for what I need; functional, reusable, cute, safe for my family and the environment, and compact! Yay! :-) Thanks for the great side by side review, and cool giveaway. I know you work hard. Good luck everyone! I'm really happy to see a giveaway for pans that are non-toxic. I have never cooked with a ceramic pan like these and would love to try! Whoa! They have so many neat things! I don't know how I'd ever decide what to buy if I were to shop there! I have never heard of this company until now, and I love how they make non-scratch, non-toxic products! These are so cool. Very versatile. What a great idea! I really love the idea that No Trace Metals or Chemicals Leaching from the Cooking Surface, plus it really looks great. I love it can go right in the fridge without leaving it out. I love them...they have such cool dishes! looks really cool.would love to try it. interested in trying them out. Safe & really nice looking stuff too. My mom wants a soup pot desperately- I would love to give her this! I would like these. Pretty cool! These sound awesome and they have such great dishes! Wow - I love these -such a healthy line of cookware and storageware :) Thanks for the review! Very nice line of cookware and storage set - love the colors too! Ecofriendly healthy design for cooking - cute decorative pieces for the kitchen too! I would love to give them a try! I like how you can use them in the oven. I am interested in alot of their products.. They look like they would be fantastic to use.. I also like that they can be used in the oven to .. I LOVE this! I cook every day and try so hard to make healthy foods-no convenience foods and also do low carb so this is perfect! Hopefully, X-trema lives up to the hype. So many different brands of cookware have not! I love the fact that it is nontoxic. I worry about my nonstick cookware and the toxicity. Sounds very cool! I'd love to try it out! I love both green products. A great idea. I like that the FridgeX is made from non-toxic silicone! I never thought storing food could be a health hazard until I read your review; you now have my full attention!! Oh I love the styles they have! Very unique looking! excellent products! i have one of their saute pans, and use it almost everyday. its a small one, so i cant cook full meals in it, but am hoping to expand my collection! I would love to try Xterma products. X-trema sounds like a great product. Hopefully, they get more recognition for what they are trying to do for the environment and families. Now, I'm off to make sure I have all the ingredients to make Taco Soup! I think it is awesome that they can make these products so green. I would love to try these, they look amazing! I think these are a great invention! I think Xtrema is a great alternative to Teflon. I like that their are no trace chemicals. I love this SAFE product! Awesome! I am dying to try that pan you made the taco soup in! I love the fact xtrema is green, attractive looking and most of all easy to clean. I have a ceramic frying pan and I love it!! This looks like a great line of products! Thanks for the info! The products look really sleek and modern. They sound great I'd love to try them. I've heard ceramic is great to cook on. I have a small ceramic frying pan which I love. I'd love to have a sauce pan too. I think it's great. Yhey look sturdy and functional but modern. Love the fridge set too. I would love to have a whole set of the stuff, I love it that much. Thanks for the giveaway and the chance to win. I have two ceramic skillets now that is why I want a whole set. 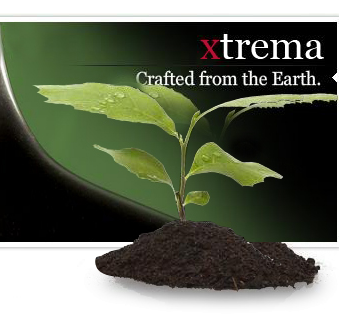 I love that Xtrema is crafted from earth. I am trying harder to be green. Thanks! Very cool! I haven't used ceramic cookware and would love to give it a go! Thanks for the chance to win! Xtrema looks great. I'd love to have some of these products in my house. I love their styles. Reminds me of watching my grandma cook in ceramic pots when I would visit her in mexico. Never cooked in ceramic but looks cool! I think that was such a smart idea because I put stuff in freezer and despite my best effort to ziplock it or what not,it ends up freezer burnt. I think it is ingenious and it will help save money with good leftovers. Xtrema has such great products, I particularly love Fridge X.
I like the concept of fridge to freezer friendliness, but I wonder how easy it is to spill something if a kid pushes on the bowl. I can see my curious 6 y.o. doing that. I think Xtrema sounds like a great product. I've never used them before, so I can't go much further beyond that, but I bet it's cool stuff! Xtrema sounds like a great product I like the face that fridge x is 100 % organic and BPA free I hope I win it! It seems that Xtrema makes unique and good quality cooking items. I think I should give them a try. Xtrema does sound very cool! I think bowls that store using very little space is a fantastic idea. I love the extremely easy to clean part! I love to think I'm healthy but cookware is not something I usually shell out bucks for so I would love the sauce pot with lid. I really like that the bowls can go from the freezer to the oven. That's awesome! The sauce pot is ceramic-- so easy breezy to clean-- on to the stop , to the table, to the frig.---great idea--great giveaway!!!!!!!!!!!!!!!! I've enjoyed all the review I've read about Xtrema and would love to try it ヅ *Thanks* for the giveaway! this sounds amazing!! Love that it is green!! They have a lot of neat and convenient products! Sounds great! Love how convenient and easy to clean they are! I like it that FridgeX is made from non-toxic silicone. I think its great that there are no trace chemicals going into your food. I love that they are all so versatile & non-toxic. i do think they are cool- love that they've addressed two huge issues and found ways to help our kitchen be less toxic. interested to feel how heavy they are compared to cast iron. there are no trace chemicals going into your food. i want it all! I think I especially am in love with the sauce pot. Yes, very cool!! I have heard this is a great surface to cook on!?!? It's something i've been wanting to try. I never reheat anything in plastic containers because of the poisons but with this I can. Sounds Awesome, less dishes, lol. I like the soup bowl set. Love the color and I would love to have a better way to store leftovers in the freezer. Wow they have the coolest stuff, but especially I have wanted to be greener with my freezer storage! I am putting them on my wish list!! think the cookware looks awesome. I'd love to try them. Their products look very high quality. I love Xtrema, I have one of their frying pans and LOVE it!!! I really like Xtrema. It reminds me of something Target would sell. I wish I had known about them last year. I've been wanting to start up a ceramic collection. This is a good start! their products look very cool. I am a container person, so I would love to win these containers. They look great. I absolutely love the soup bowls set. Their items are really neat. I love that it's so versatile. 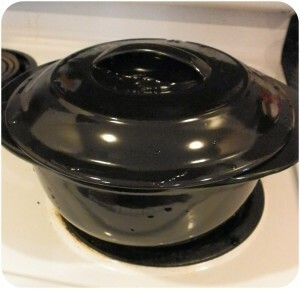 My kids would also love it because they do the dishes, and this pot can go right from the oven or stove to the fridge! Fewer dishes! Super cool, thanks for sharing! I definitely want to switch over to healthier cookware in our house! I am a big fan of their all-around quality products.... Here is a company who's products reflect genuine PROGRESS - which is becoming something of a rarity in today's (ahem) business world where quality is often sacrificed... The (healthy!) frosting on the cake is that they also sponsor splendid giveaways with brilliant and beach blogs like yours! I would really like to try some of their cookware--it sounds both good for healthy cooking and very durable. I have one of their pans and I really love it!! Great to cook in and cleans up well. I would love to try this! I am especially happy about it being non-toxic silicone. I love that the Xtrema products are eco-friendly and they look gorgeous too. I think Xtrema is fantastic! I especially like the fact that it will never trap food, bacteria, odors, or tastes! I love that it sounds so durable. I would love to try their products. I like the idea of not having to worry about a coating coming off on my food. I have some pans now that I should throw away for that reason. I also like that they have a big selection on their site. I think they are made well, look awesome and come in very handy! It looks like a quality product, but then anything is better than my $20 set I bought at a discount store. Makes cooking and storing food easy. I tend to make a lot of soup so being able to put food directly into the fridge after it's done is a plus. Also, I like that FridgeX does not chip or ware out from being put in the freezer. I think the products are wonderful! I have a soup pot from Xtrema and it is really great. 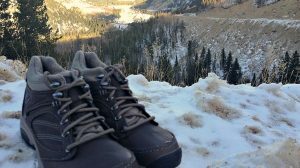 I've heard such good reviews on Xtrema so would love to have at least one piece. I'm So glad these products exist! Way cool! We all need to be as healthy and "green' conscious as possible these days!!! Thank You! I would love to own one to see if it is really easy to clean. both sound great.. but would love the ceramic sauce pot as that is something that will definitely be used a lot.. I think these products are really neat and they stand by their product with a long warranty. I love that they are healthy for you ,non-toxic,and good for the planet.